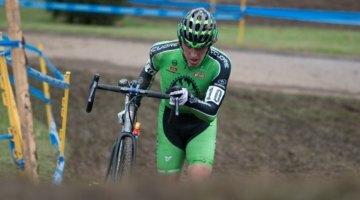 The upcoming Ohio Valley Cyclocross Series season will see some alterations in 2016, with a change of leadership and two new venues added. Most visible will be two new courses in Lebanon, Ohio, and Charlestown, Indiana, that have been added to the schedule this year. Organizers believe returning racers will quickly take a liking to the new venues. After years of guiding the OVCX from a small, grassroots race to one of the US’s preeminent cyclocross series, founder Mitch Graham is stepping aside. Three new leaders are stepping up to take his place. 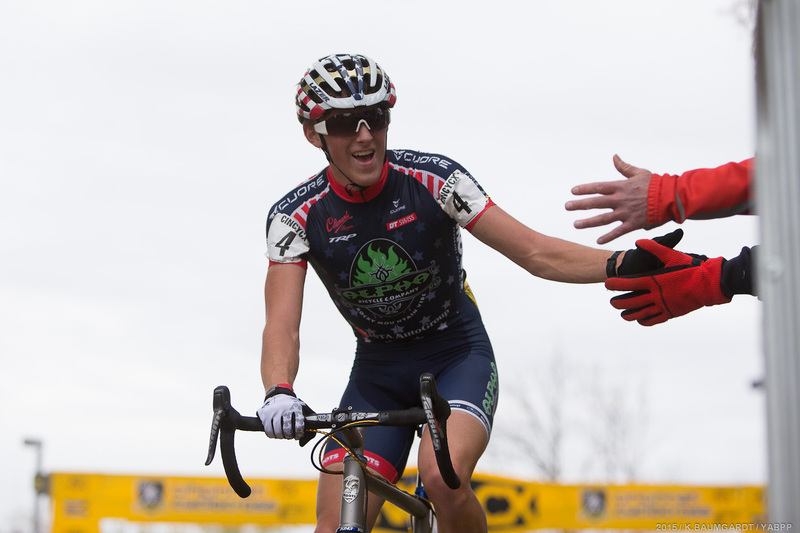 When the announcement was made at the OVCX’s last race of the 2015 season, Graham received a massive applause from an appreciative crowd. “I told Mitch he was responsible for the thousands of racers we’ve had compete under the OVCX banner over the years,” said series stalwart John Gatch. “He almost single-handedly built the Midwest CX scene into what it is today. 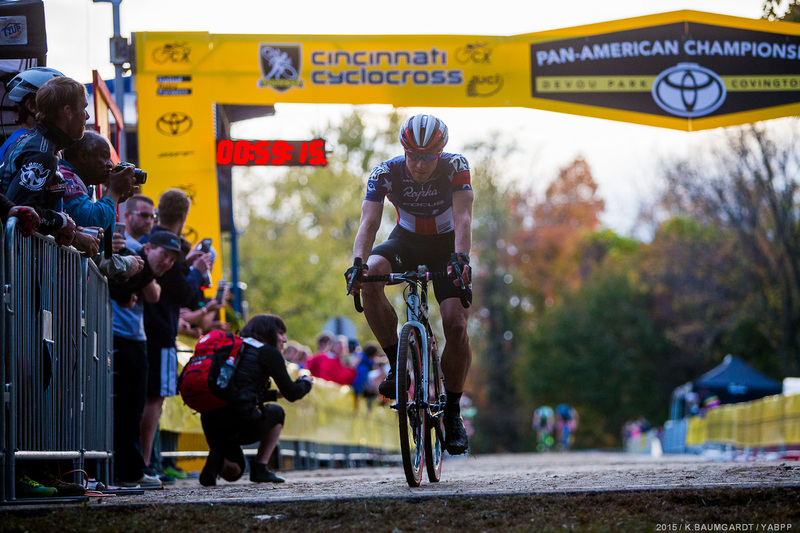 Graham, bike fitter/owner at Cincinnati bike shop BioWheels, won’t be walking away entirely from cyclocross promotion – he’s still race director and course designer for the Devou Park Pan American Continental Championships Oct. 29 in Cincinnati. File photo of Jeremy Powers from the Elite Men’s Pan-American Continental Championships in 2015. Graham said he’d thought of stepping aside several times over the years, but the creeping burnout he’d felt could no longer be ignored last year. The decision made, he let the other race promoters know last fall that he was planning to step aside after the 2015 series finale. Gatch, Herrmann, and Corey Green stepped up to take larger roles in the series, and will take the reins of the series for the upcoming season. Green will be the “rules czar” dealing with USA Cycling, with Gatch handling budget and sponsorships and Herrmann, who along with her husband Scot is affectionately known as the voice of OVCX, dealing with media and public relations. All three joked that it takes three people to do the job Graham has done for 15 years. 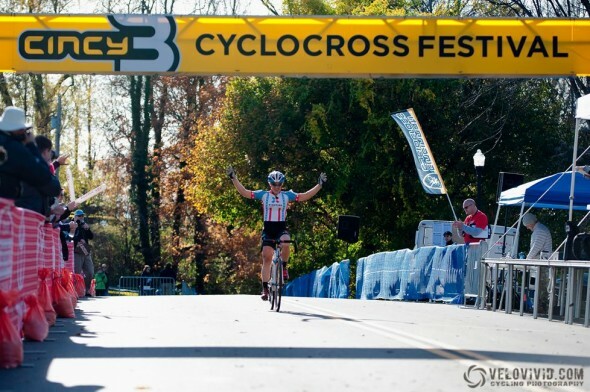 File photo of Katie Compton taking the win in 2012 at the Cincy Cyclocross Festival. Everyone involved believes the transition will be seamless. Green said there’ll likely be some small changes at first, but nothing long-time racers will be up-in-arms about. Graham said he was enthusiastic over the potential new directions of the OVCX, with his successors bringing in fresh insights and lot of excitement into their roles. Hermann, who has been racing in the OVCX since 2009, admitted to a bit of nerves when Graham announced he was stepping aside, but knew that she needed to step up and help out. She also hopes to help grow the women’s ranks in the Midwest even more. The OVCX has grown significantly in national prominence under Graham’s watch. The number of racers has jumped from 37 at the series’ first race in 2000 to more than 800 racers at the Kings CX event last season, and young racers like Drew Dillman and Spencer Petrov have gone from the developmental ranks to the elite waves in both national and international events. 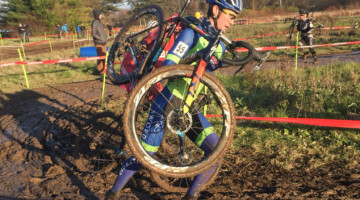 File photo of Gage Hecht, winner of the UCI Junior Men’s race at Kings CX in 2015. 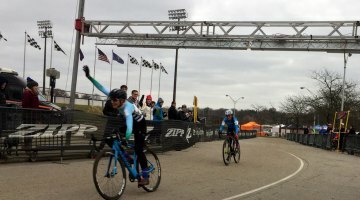 “If you’d asked me in 2000, I would never have guessed that the OVCX would become this successful, let alone hosting the Pan-Am Championships,” Graham said. Despite all the accolades he’s received from the racing community, Graham is quick to give credit back to them, especially the volunteers and parents of the junior racers whom he called the backbone of the series. “We built it for the kids,” Graham said. “It’s cool watching the Lionhearts and Red Zone and now the Indy Devo developmental teams grow over the years. Now these kids are going to nationals and winning medals. Hey Ren Evets interested? I am. May take you up on that. Need to figure out how to get in shape first.